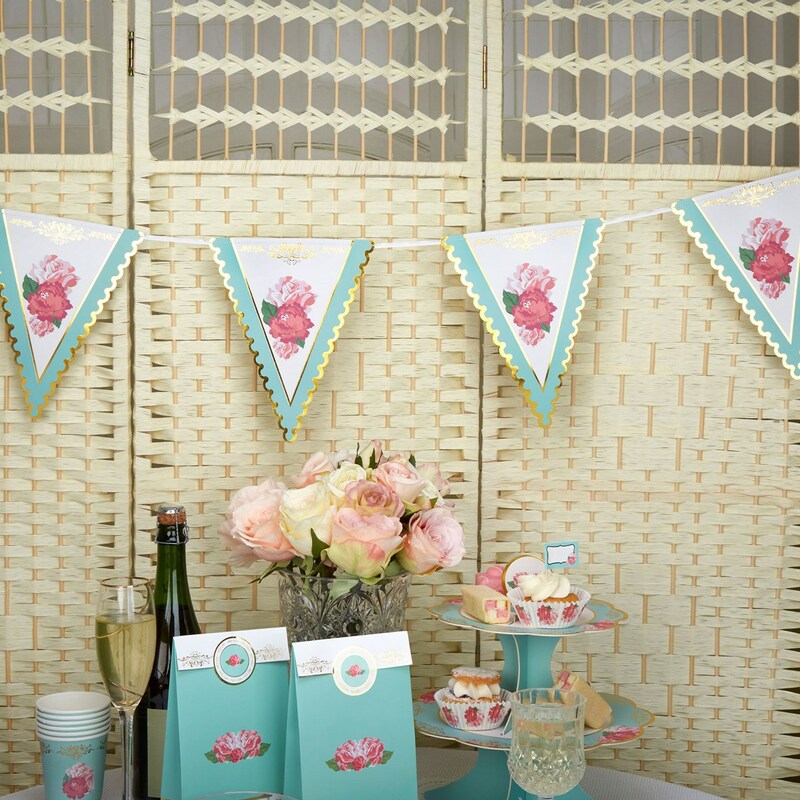 Give your celebration a touch of vintage glamour with this traditional-style bunting. Suitable for both indoor and outdoor use, this delightful accessory features 14 scalloped edge triangular pennants, strung on white ribbon. Each flag is decorated with a pretty rose motif and finished with turquoise and gold edging to create a lovely decoration to adorn tables, walls, bannisters, trees and more. Bunting measures 3.5 metres.